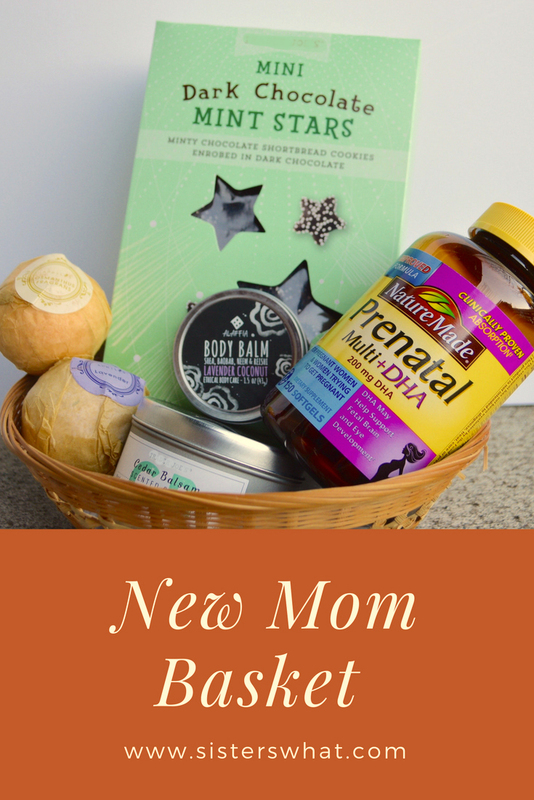 ' New Mom Basket - Sisters, What! Every pregnant woman is uncomfortable and if you've been pregnant you really feel sympathy. But the hard thing is that every woman goes through a different pregnancy. We crave different things, we are sick, not sick, the list goes on! So how do you buy a gift for them!? I've put together the perfect basket that any pregnant woman would love (and even you might too). 1. Chocolate or some kind of treat: Let's be honest every woman would want this, add pregnancy in and you're hitting gold by adding it to your basket. What pregnant woman doesn't want a little treat that is all hers!? 2. Bath Bombs: Because what pregnant woman doesn't need some time off her feet in a relaxing bath. And as I'm learning it really does feel good to lay in some water as you really start showing! 3. Candle: Candles can be calming, especially if it's a smell that you love. Perfect to go with that bath bomb for a relaxing night for momma! 4. Lotion: That belly is going to start itching and so a delicious smelling lotion to rub on after the relaxing bath is fantastic! Plus, use that lotion to put the hubby to work at massaging those feet. 4. 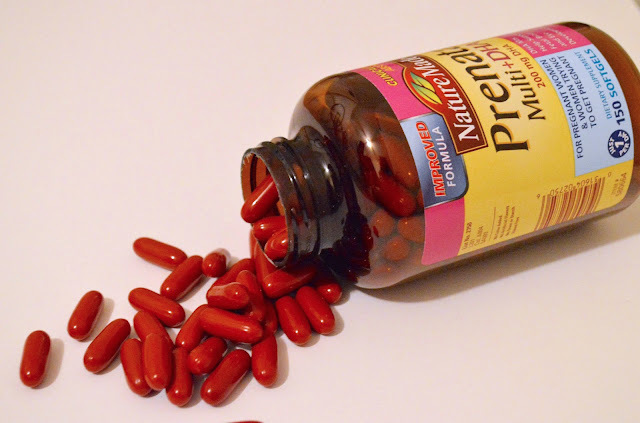 Nature Made Prenatal Vitamins: Every pregnant lady needs these, whether they want them or not, we all want a happy and healthy baby! So save them a trip to the store by throwing something on the practical side into their basket that will save them a trip to the store. You can purchase these at your local Sam's Club today! 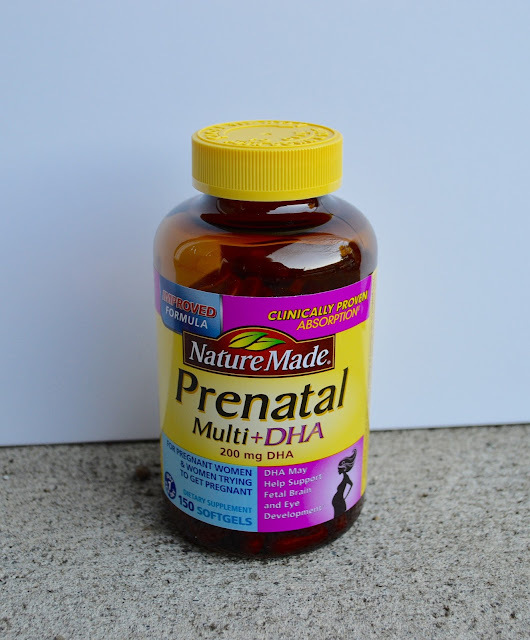 Nature Made Prenatal Multi + 200 mg DHA is guaranteed to meet their high-quality standards. So there you go. What a better way to help out your new momma by giving her not only what she needs but also what will help her relax during these rough few months! Yes, having a baby is a gift, but the journey to get there sure is a lot of work!